Colour Mirrors is a system that will make your life more colourful, abundant and fun! We help you see yourself more clearly in the mirror of colour and once you have acknowledged your own power and beauty, everything else will fall into place so that you can live a life of abundant joy. Colour Mirrors uses the psychology of colour to help you reach your full potential. Using the Colour Mirror bottles, which are activated by crystals, you can identify and shift obstacles that have manifested on your life journey. They can provide guidance on how to raise you self-awareness and consciousness, thus empowering you in any aspect of your life. Each colour choice you make acts as a mirror, reflecting back to you your gifts and talents, personal power and the truth of who you really are. Colour analysis can help to identify, then release specific patterns of behaviour that are sub-consciously sabotaging to keep you from being the true authentic and fully abundant you. Studies have shown that colours affect us profoundly at a deep psychological level. Every colour has its own positive and negative attributes, and vibrations that can elicit emotional responses: 'see red', 'feel blue', 'become green with envy', 'get a yellow belly' and so on. Each of us constantly react differently to a colour's vibration, our own unique energy blocks resonate with colours at a specific vibration that could be at a different frequency to someone else's. The top fraction/colour (oil) resonates with your *conscious mind - what we are aware of. It is that part of us that thinks, passes judgments, makes decisions, remembers, analyses, has desires, and communicates with others. It is responsible for logic and reasoning, understanding and comprehension. The mind determines our actions, thoughts, judgments, and decisions based on the beliefs. The bottom fraction/colour (water) resonates with your subconscious mind - the hidden programming in our cells that we might have inherited through the family gene pool, taken on as beliefs/fears or created through traumas. ​We know through the research and experiments of Dr Masaru Emoto that water holds memory and information. Seeing as the adult human body is made up to 60% water, this can show that information and memory is stored within us, at a cellular level. It takes up 95% of brain activity. It is the part of the mind that is responsible for all of our involuntary actions like heart beat and breathing rate. It does not evaluate, make decisions, or pass judgment and it does not determine if something is “right” or “wrong”. ​Time does not exist and it runs just like the software on a computer. ​Memories, beliefs and emotions are stored and controlled here. Just as a computer can only do what it has been programmed to do, we can only do as we are programmed to do. Our programming is determined by our beliefs and cellular memory. This is why affirmations and vision boards are sometimes just not quite enough as that is only talking to the conscious mind, which doesn't match up to your subconscious (your belief system). Changes happen in our lives when programming and beliefs in our subconscious​ and cellular memory have been changed. Using the Colour Mirrors system the language and vibrations of colour can be accessed through the bottles of naturally dyed avocado oil and distilled water. Every bottle has a meaning and they are used as an energy, or vibrational tool, for gaining self awareness and support for any issue. The system is used globally by health and professional practitioners, spiritual teachers and colour therapists. 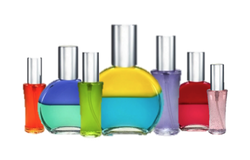 Click on the buttons below to see the stunning range of round Essential oil bottles and Essence sprays. Important: Whilst Colour Mirror Therapy is very powerful and has produced remarkable clinical results, the technique and bottles are used for self development purposes and are in no way intended to replace medical advice or diagnosis. So do take good care of yourself whilst using the bottles and understand that you take full responsibility for your emotional and physical well-being; for anything which may arise during the Colour Mirror Therapy session with a Practitioner/Teacher or thereafter.